Called “One of the most unique theater troupes in the country.” by Good Day Atlanta, and direct from its successful sold out performances in multiple cities and states, Phantasmagoria is proud to present their next main stage installment of this long running critically acclaimed series PHANTASMAGORIA IX “Homecoming” to celebrate the 2018 Halloween Season and its ninth year of ongoing production! 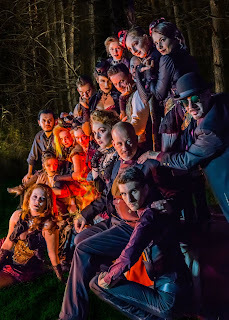 With the ongoing critically acclaimed success of the past eight year’s installments - as well as special events and appearances throughout the year– the brand new PHANTASMAGORIA IX thunders on to the stage in five Florida counties with all new stories of terror! Live performers, “Phantastical” dance, explosive stage combat, large scale puppetry, aerial performance and haunting storytelling combine to create a tapestry of macabre and whimsical horror! 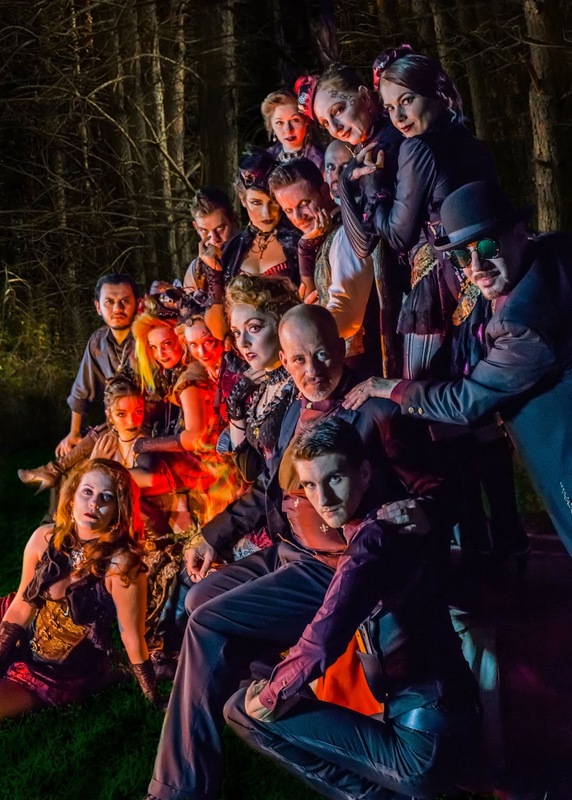 Join Phantasmagoria’s evocative troupe of storytellers, dancers, and chorus as they embark on their newest and perhaps darkest journeys yet through literary tales of terror, and horrific folk stories, legends, and myths. Enter with us into dark and sometimes whimsical tales from the likes of Edgar Allan Poe, Thomas Hood, Mexican Folklore, Victorian Poetry and Song, an ancient centuries old Irish Vampire and much, MUCH more – all to set the tone for a truly Phantasmagorical Halloween season! Under the creation, writing and direction of John DiDonna, with co-direction by Kevin G. Becker, the choreography of Mila Makarova, and others, fight direction by Bill Warriner, all new original music and soundscapes by Les Caulfield and Tod Kimbro, lighting by Jerry Klein, costumes by Shelly Henriott, projections by Dana Mott, puppet direction by Rebekah Lane, and with photography by Chris Bridges, Graphics by Ozelle Sabado, and puppetry/props by Darkvale Studios and Halfmoon Creative Works this new installment presents us with a truly “Phantasmagorical” way to spend a macabre, whimsical, and terrifying Halloween! WHERE/WHEN: PERFORMING IN 5 COUNTIES! TICKETING - Pricing and times vary per location. For information you may also visit www.phantasmagoriaorlando.com for ticket links to all venues. “You may think you've done theater... but you've never done theater like THIS! . . .
Join Phantasmagoria at these upcoming Central Florida Events!